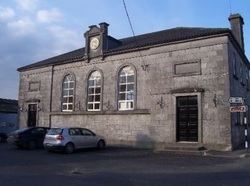 Tulla Courthouse is located in the centre of the village of Tulla, County Clare. 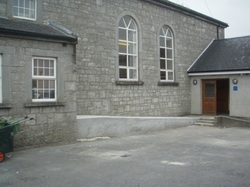 The building has been restored and extended with generous grant assistance from the Department of Arts and Tourism in order to provide a Community Facility for the region. Contact us with your accommodation needs and we will try to facilitate you as best we can! Tulla Reaching Out and Tulla Courthouse were delighted with the success of our first 'Week Of Welcomes', which took place 9th to 11th of August. Next year's event is now being planned. Two of our Families returning to Tulla to meet long lost relations were followed by TG4 film crew making a documentary about the returning diaspora. The Film crew focused on 6 parishes and the documentary series which will be aired from Mid November will have one full 1/2 hour slot on familes linked to Tulla Parish.